The approach to landing in Dublin airport is familiar to most of us. 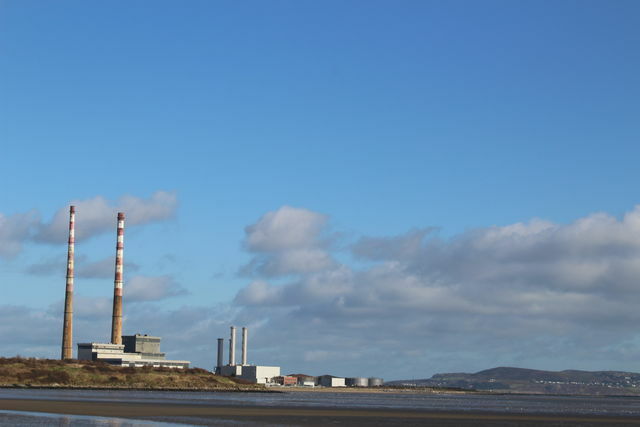 On a clear day, you approach the city and those sitting in a window seat can pick out the sights of Croke Park, the Poolbeg chimbeys and Lansdowne Road. If you are a golfer, it will be the manicured fairways of Portmarnock, the Island and Royal Dublin that will catch your attention. Ireland’s capital city is a long established tourism hub. For decades now, Temple Bar, the Guinness Storehouse and Trinity College have been hugely popular attractions. 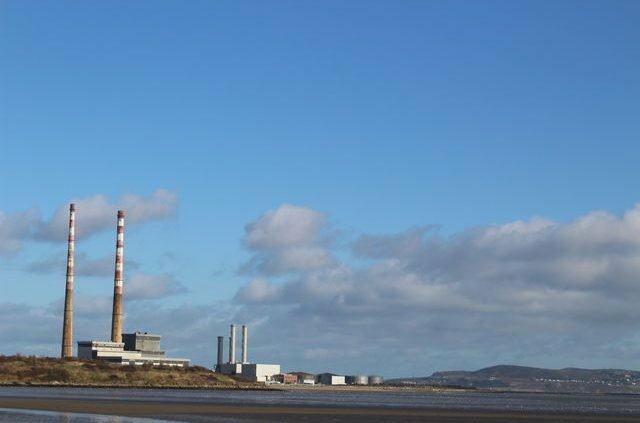 For those looking for a trip that keeps you out of the famous Dublin licenced premises for most of the day, have a look at our 3 most popular types of Dublin golf break. There is no doubt about it, Dublin is one of the best cities in the world for a group holiday. You could travel to Ireland’s capital on 100 separate occasions and still not sample every pub and restaurant the city has to offer. For your Ireland golf society getaway, there can be no better option. Flights into Dublin airport are cheap and easy to come by and once you arrive, you have a plethora of public gems at your disposal. 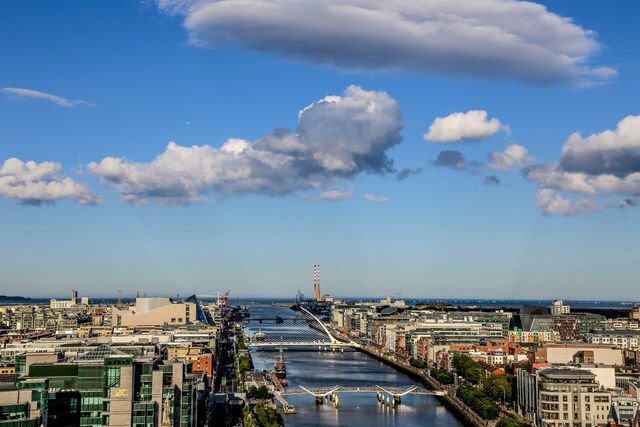 Staying in a city centre hotel, you will find the delights of Temple Bar, Whelans or the Bernard Shaw within walking distance. To make sure that your trip includes at least some fresh air and exercise, courses such as Corballis, Siloge Park and Howth will gladly welcome visiting groups and the green fees at these fantastic courses will not hit the drinking kitty too hard! Some of the finest links golf courses in the world can be found just a short drive from Dublin airport. A fantastic option or the group looking for a resort links experience, the Portmarnock Hotel and golf links. 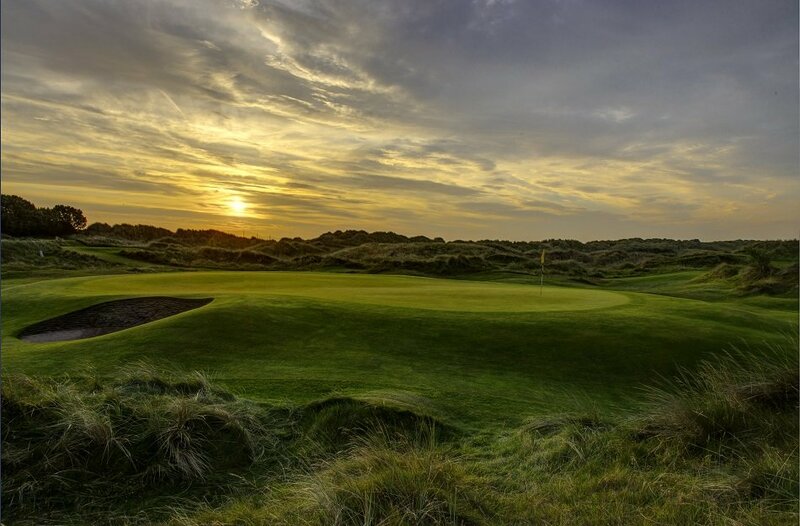 If you prefer to stay in the city, within an hour you can play at any one of St Annes, Portmarnock, Royal Dublin, the Island, the European Club or Laytown and Bettystown. 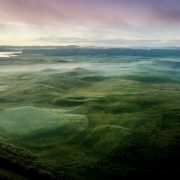 These links courses are a match for any in the world with the likes of Portmarnock regularly ranking at the top of both Ireland and world lists of the best courses. The Island is an absolute links gem and often welcomes the worlds top pros the week before the British Open for some links golf practice. If you travel a little further south, you will find the Pat Ruddy Masterpiece the European Club. Regularly ranked in the top 20 courses in the UK and Ireland, many see this as one of the best links courses in Ireland and this is among some stiff competition. 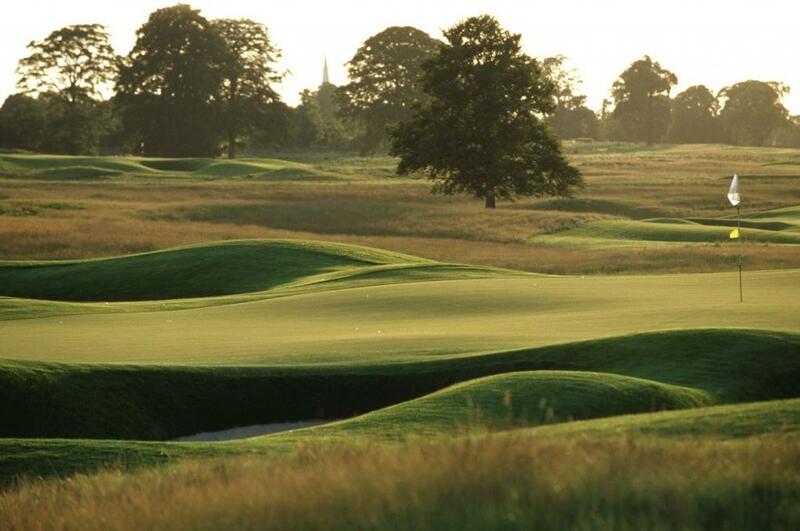 A links break in Dublin is a bucket list tour. Due to the huge demand for these courses from international visitors, green fees are on the top end of the scale. 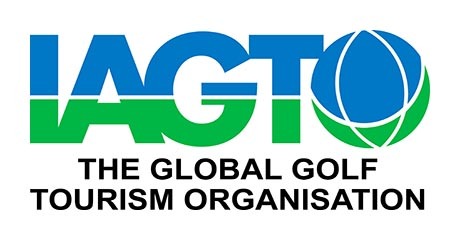 If you are looking to organise the once in a lifetime golf trip where budget is not the deciding factor, spend a week in the capital and play some of the best links in the world while spending evenings in one of the liveliest cities in the world! The joy of a trip to Ireland is that you are never far from peace and quiet. 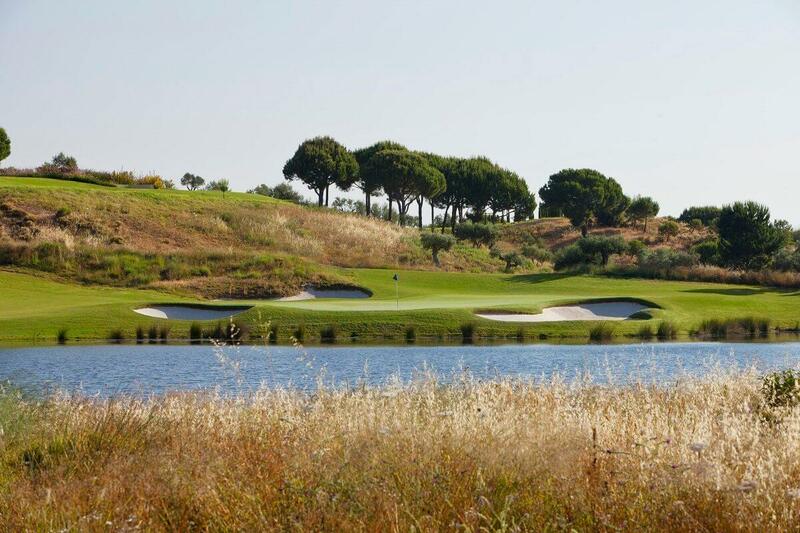 Take a drive in any direction from the city centre and you will find some of the finest golf resorts in Europe. Head south and you will enter Wicklow, the ‘Garden of Ireland’ and home to Druids Glen. The location of this resort could not be more apt. The floral nature of this famous 18 holes has drawn comparison with the one and only Augusta National on many occasions. 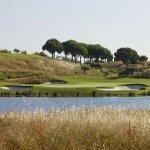 With a luxury 5* hotel as well as a fantastic second course at Druids Heath, this is a resort of the highest quality. 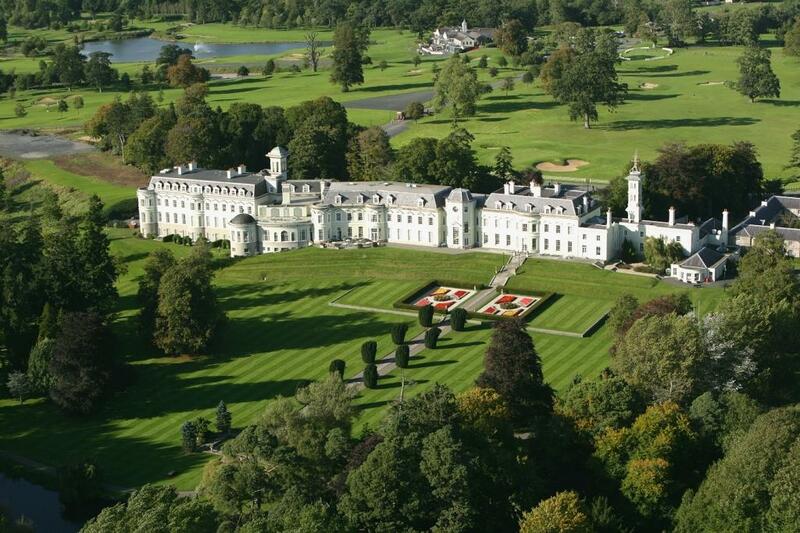 To the East of Dublin you will find none other than multiple European Tour event host course, the K Club. As well as the Irish Open and European Open, the famous 2005 Ryder Cup was played here and the course still attracts swathes of international golfers. As with Druids Glen, the second course (Smurfit Course) and the luxurious 5* hotel make this a resort that lives long in the memory. For the golfer looking for even further variety, you can visit Carton House which has hosted the Irish Open on multiple occasions. This luxury hotel has played host to training camps for multiple professional sports teams including the Irish rugby team before the recent six nations. With a luxury hotel, two championship courses and a short drive to the airport, this fantastic resort is ideal for a weekend break in the vicinity of Ireland’s capital..
To book your golf getaway in the Dublin area contact green golf travel today on +353 74 91 16660 or email info@greengolftravel.com.